I have recently interviewed a former member of the OSCE SMMU (Ukraine) mission in Donbass and Ukraine. He served as an OSCE Monitor in the field in Odessa, LNR and various other locations on both sides of the contact line from March 2014, until his retirement from OSCE in 2017. He was a member of the US military for 30 years serving in Special Forces for 16 years, and also previously served in Ukraine, the Middle East, the Caucasus, Central Asia, Bosnia /Serbia areas on programs for Border Security and Cooperative Threat Reduction US State Department's Bureau of International Security and Non-proliferation from 1999 to 2014. Though he currently wishes to remain anonymous, I have personally confirmed his identity and CV. He is for real. In this interview, I will refer to him as "KOT". RB - Please tell us about when you came to Ukraine / Donbass, your mission here, and how long you worked with the OSCE here. KOT - I must preface my remarks by noting that what I say is based on my personal observations and analyses, and does not speak for anyone else. I agreed to this interview in view of the vast amount of inaccuracy and distortion of what has actually happened and is going on in Ukraine. The responsibility of what has happened there, and also its solution ultimately lies squarely with the UA government, and no one else. I have spent a total of over six years in Ukraine, the last time having been since March 2014, as one of the first members the OSCE Special Monitoring Mission, Ukraine. I was initially assigned to the Odessa Team. I was present and a full witness (observer) to the 2 May 2014 Odessa massacre: both on Cathedral Sq. and later at the Trade Union Bldg. After "Minsk-2" I was transferred to Lugansk, where I spent the next two years on the rebel side of the "contact line", until my recent retirement this year. RB - Please tell us about what you witnessed in Odessa on May 2nd, 2014. KOT - Based on my observations, this "event" was carefully planned and executed by the government, with a completely prepared cover story. The “Maidan” side was far to well prepared, equipped, rehearsed, and outfitted to come to any other conclusion. There were a number of reports submitted on what actually happened, but those that contradicted the official government line were effectively suppressed along with any manner of accurate analysis of its consequences (which certainly continues to this day). In Odessa, traditionally a Russian speaking area, and never historically a part of Ukraine (Khrushchev administratively assigned to the Ukrainian SSR in 1954, by “Executive Order”), the suppression of all opposition started in March 2014, and reached a critical point by 2 May 2014. The government brought in a large number of western UA nationalists – well armed, equipped, trained & rehearsed. Some of these were also planted in the “anti-Maidan” ranks. On 2 May, the anti-Maidan faction planned a rally. Some of them had sticks and shields, anticipating possible ”nationalist” attempts to break up their rally. About 100 of them assembled on Alexandrovsky Prospect (1100 hours) and marched to Cathedral Sq. where they encountered a well set-up blockade of nationalists on “Grecheskaya Str.”; the nationalists outnumbered the anti-Maidan (AM) group by at least 5 to 1 (this was observed, but denied by the UA government). About 100 riot police accompanied the AM and as the nationalists advanced, tried to block them from engaging. The nationalists had weapons, firearms, grenades, and a huge number of stones. The AM had little to nothing – this was a trap, and the AM’s found themselves encircled and barraged with grenades (concussion), and a rain of stones. The AM started to answer only by picking up what was thrown at them. In addition, they also desperately tried to rip apart parts of the sidewalk to get something to throw back. The police tried to block the encirclement, in which they were also trapped, and a number of police were serious injured and debilitated. The police acted civilly, and with passive blocking tactics, not using force or weapons, but they were not able to stop the onslaught, and about six people were killed at that location. Nationalist re-enforcements were brought in on government vehicles, including fire trucks; most were in black uniforms. In the course of coming in, if they thought anyone “looked suspicious” they would dismount, chase and batter the individual, then continue to the conflict area. However, most AM’s were able to get away – many went to the Trade Union Building (in back of the main train station). There was another AM rally under way there (this was their traditional meeting place and they had set up a small tent complex catering to AM demonstration – two days earlier, this was attacked and all tents were burned and destroyed by the nationalists). The AM ralliers were warned of the impending nationalist attack there, and were “advised” to take refuge in the building. However, that too was a trap, and the upper two floors (of 5 floors) were blocked off by the nationalists. Once the attack started the lower floors were subjected to “Molotov cocktails”, two snipers sere observed (by other witnesses with military backgrounds) at the shrub line of the park picking off AM’s near windows of the building. Many AM’s trying to jump out of the burning building once the “cocktail” fires ignited the interior, were beaten to death by pipe-wielding nationalists. The official total of AM casualties was 46, but unofficially the rumors went as high as 300 (there were also rumors that there were bodies of AM protesters previously killed and piled in the building basement to be burned) Note: The latter rumor was neither observed or confirmed. The locals tried to call the fire dept., but the Fire Brigade did not show up for several hours despite being only 500m away. At around 1900 hours, the nationalists set up a mass party near Cathedral Sq. with a rock band, massive truck-mounted audio equipment, UA flags, and held a drunken celebratory bash (observed). That night, the area was cordoned off and only official vehicles and crews were allowed in, removing bodies. The wounded AM’s were taken to hospitals, which were subsequently attacked by the nationalists throughout the night intending to “finish” the job. Relatives locked themselves in with the wounded to prevent nationalist access. None of the local people questioned, said they recognized any of the nationalists as being from Odessa. By morning the bulk of the nationalists were gone. Only the Odessa based “Self-defense” groups remained. The Trade Union building forensic investigation was conducted very superficially, with the building being “open to the public” the next day – with hundreds of visitors – totally destroying “crime scene” integrity. As events unfolded, all of the UA TV stations carried a well-prepared scenarioized reporting – all stations, the same, the same story, clearly, fully worked out beforehand – the uniformity and nature of reporting consistent – and not in the least resembling what was going on or subsequently happened. The Odessa journalists decided to conduct their own investigation – without making accusations, but making all possible facts available for the public record. They examined thousands of videos, interviewed hundreds of witnesses and participants (they counted on witness candor that would be missing in police or SBU interviews). Their findings were not allowed to be published. The official investigation placed the blame exclusively on the AM group. The government brought in investigators from Kiev – the chief investigator made the statement that this was going to be a short investigation: one side was completely “untouchable” he said. Charges were brought against only the AM (victim) side, as starting a disturbance with bodily injury consequences. Most have still not gone to trial and are still being held by the government. Those AM’s who did go to trial were often attacked upon entry to the courthouse, and also in the courtrooms themselves (as were witnesses perceived to be “for” the AM’s). The police did little to stop this activity. After the main suppression of opposition at Cathedral Sq, and the Trade Union building, all subsequent opposition activity was pursed and eliminated: newspapers not touting the government line, TV and radio stations, groups, etc. were forcibly closed, and often burned out. At this time, no one with AM sentiments speaks out publicly and many people in Odessa claim to avoid anyone who speaks Ukrainian, fearing possible nationalist reprisals. There were a number of “Self-Defense” groups organized in the Odessa area, who monitored and controlled any “AM” or anti-government civil, non-violent activity. Note: I was witness to all of this personally, including many of the subsequent interviews, etc. There is much more detail and a lot there. The reason I describe this, is that the Donbass folks considered the Odessa events and their aftermath to be a telling indication of what might happen to them, and still do (I discussed this with some of the LNR officials). I had considerable contact with some of the LPR officials who were particularly interested in what had occurred (and was still happening) in Odessa - as an important indication of what they might expect on their territory, should UA forces be allowed into LNR. 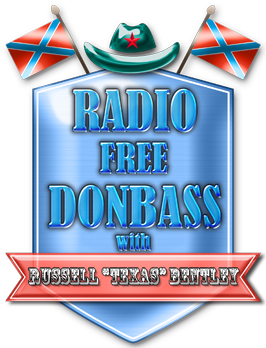 RB - Why didn't the OSCE make an honest report about the Odessa Massacre? KOT - As you might know, OSCE is by no means the "objective" observer it purports to be, but is highly biased in favor of the current UA regime. You have no doubt heard Mr Hug's many statements. They do not reflect the actual situation; Mr Hug reflects that bias, and no one else is allowed to make public statements, except for AMB Apakan, the Chief Monitor, as very fine man, but responsible for the higher level of SMMU activities. A. Hug himself is the Only authorized person to issue public statements, the rest of the teams are strictly forbidden to do so. He (and his principal minion, the Head of Reporting) is the front of the org.. The "spin" they provide does not represent a balanced position and, I feel, does not represent true observations and reporting from the field in the correct perspective. Some people have accused OSCE SMMU of being “agents”; this is not the case – certainly not in any significant manner (I was one of them, in the field and in “acting” leadership, and you can take that for what it is worth). Perhaps there are some who are "agents", or, say, close to it, but I do not know of any. There are many good people in the OSCE, believe me, and many of those good people are also frustrated by how their reporting is spun, or sometimes ignored. I could tell you many stories of how we (Odessa and Lugansk Monitors) fought with OSCE HQ in Kiev, in getting the right info, the right balance, the right perspective - that "objectivity" they tout so often. We lost every time; some of our team leaders either quit, or were essentially forced out due to this. One time, about two years ago, I heard in the news that Russian Foreign Minister Lavrov asked to see the "raw" data, (field reports) and then conduct his own analyses - this of course, was not allowed, but I was somewhat surprised that he never repeated the demand - it would present an entirely different picture of what is actually observed and reported from the field vs. what finally comes out of OSCE Kiev. You made mention of OSCE not reporting on clear evidence of heavy weapons impact “cratering”. OSCE Monitors send their “crater analyses” in the daily patrol reports, including the assessment of the type of weapon used and where it was located – patrols also report on all explosions , both heard and observed: their direction, distance and possible origin. That data is submitted to OSCE Kiev, but there, again, only selected parts are actually “published” - i.e. made public; this is a highly selective process controlled by the likes of the head of reporting. Untoward items are not printed under the pretext that they are not sufficiently “triangulated” i.e. Triple-checked – which they are, since that is one of the underlying principles in accurate reporting – we do not deal in speculation or conjecture, but corroborated facts and actual observations. Even though we “triangulate prior to all submittals, we have often been requested to do it again, and again. This is not easy. Again, do not confuse some good accurate field reporting, with what is screened out and does not make it into Kiev issued reports – there is a difference, sometimes a big one. Several Team Leaders including myself (acting) often challenged “problematic” incomplete or inaccurate reporting, to no avail – we never received either retractions, or corrections. Many monitors left due to dissatisfaction with Kiev, and the futility of dealing with them. Some time back, Kiev has instituted a careful Team Leader “selection process”. RB - Can you give a specific example? KOT - More than one. One example was a Kiev reported 49 “Grad” systems south of Debaltsevo – this was not in our reports – as “acting” team leader at the time, I checked all reports, and also immediately dispatched a patrol to corroborate – needless to say we could not find anything of the sort in that area. When challenged, Kiev said that it was “probably” based on satellite imagery; when I asked that this be provided, they refused. When I asked why we were not immediately tasked top confirm and “triangulate”, I was ignored – the report stood – also a statement to that effect made in a high profile TV statement by A. Hug. Another earlier example, our detailed reporting of the 2 May 2014 events in Odessa (of which, I was in the middle), and the follow-on activities and events were highly redacted and often not published in Kiev reporting – there was a great deal in those reports, but this was never published by OSCE HQ in Kiev. RB - What can you tell us about the situation in areas abandoned by UAF units during their retreats in 2014/2015, particularly about minefields left behind? KOT - We reported as much as possible on the existence and locations of mine fields: both old and new. In the area of Biryukovo, Dolzhanskiy, Mariyevka, Zelenopolye, all the way to Donetsk Oblast (Chervoniy Zhovten [UA for Red October]) and Dyakovo – this is an area along the southern half of LNR. The area is not only heavily mined (local farms in almost every village have trucks, tractors, combines, etc. that have hit mines left by retreating UA forces sitting in yards: some with accompanying casualties, some luckier. De-mining is a constant activity for the LNR forces. There were/are several UA “combat engineering” (sapper) units in the area (primarily in Rovenkiy). The std. TO&E for a post soviet unit (BN) is in the range of 2000 AT mines, about 4000 AP mines and 4-6000 smaller “booby-trap” mines. When these UA units withdrew, most of this was not taken – they withdrew in disorder and too quickly due to being seriously hammered by LNR forces. Many mines were emplaced in the area, primarily in civilian farm regions, and not military objectives. The mines were emplaced at random, indiscriminately with no records, or markings, etc. Even civilian objects, such as barns were said to have been “booby-trapped”. There was a UA “combat engineering” unit based in Zelenopolye, where LNR sappers still find and destroy ordinance and mines. The LNR sapper units down there take casualties because of out-dated (WW II) de-mining equipment – modern mines are tough to pick up with those older technologies, and the sappers down there had appealed to us for better equipment to clear (their projection) the roughly 40K mines. OSCE could not help – in fairness this fell outside of the legitimate Mandate (note: there were suggestions and proposals to get some degree of reconstruction [and clearing] assistance: schools, hospitals, and the like, but it never materialized). Honestly, I do not know if these proposals were ever presented for discussion at the OSCE HQ Council in Vienna. Along with de-mining, the local farmers and sappers would occasionally stumble across mass graves of UA soldiers. KOT - In the Zelenopolye area, for example, the locals said they saw several UA trucks fully laden with bodies heading into the fields when they were withdrawing. They were able to find some of the bodies, but not all. Mass graves were also found near Dolzhanskiy, and also near Krasnodarskiy and Izvarino border crossings. All bodies in those graves had been stripped by the UA to be “sterile”, i.e., no papers, dog-tags, or any other manner of identification. The bodies were simply dumped into a pit and buried – often this would not be well done and some of the graves were found by dogs rummaging about for food. We tried to set up (in cooperation with LNR) a system of returning the bodies but found both resistance and denial of any such bodies from LNR territory by the Kiev authorities. Returning them for the most part was not successful; the UA side would find many excuses to make the process difficult or not to accept the bodies. In all, part of the problem lay in the fact that the UA forces lost far more people than they ever admitted to, and were faced with the problem of embarrassing admissions. But more likely, also the necessity to take responsibility for the casualties, and pay for them: family care and reparations, etc. They did not seem to want to spend the money on their fallen boys. RB - So the UA was not interested in recovering the bodies of their fallen soldiers. What was their attitude towards live UA POW's captured by LNR forces? KOT - In 2014/5 in Sverdlovsk, I often spoke with an Ataman Gaidei (Aleksander Nikolayevich). He was holding 500 UA POW’s and said that it took forever to reach UA authorities to get a return exchange going – the UA side was simply not interested. The exchange eventually happened after over six months of negotiations (OSCE was not involved in this particular process), The UA side returned twenty LNR Cossack troops in exchange (there really were not that many taken captive), but six of them came in boxes of about one cubic foot – i.e. tortured and mutilated beyond measure. Gaidei said that he returned all of his POW’s with “all of their fingers”, but had he seen what happened to some of his people, he might have considered changing his approach to POW’s. Just a brief Post-script on the Gaidei (Sverdlovsk AOR) POW exchange. The UA side did such a poor and obviously disinterested job in moving toward an exchange, a number of UA servicemen said, “the hell with them”, and stayed with Gaidei and LNR as fighters. RB - So UA authorities were not interested in their POW's or their fallen soldiers. What about UA soldiers wounded in the "ATO"? KOT - When I was still in Odessa, prior to my transfer to Lugansk, I stopped by the Odessa Military Hosp. to check on the wounded who were being returned from the “east” to various hospitals around the country for long-term treatment. The Odessa Hospital was a good one, and there were many soldiers there. I interviewed a tank crew – all wounded to varying degrees – nice young men, what you would expect of a decent soldier. They told me the story of how they were treated (with a lack of concern from UA), but more importantly, they recounted how over the three months of treatment in Odessa, their military files kept changing, diluting their service from combat, to rear duty, to some manner of reserve. The boys were very sad, in relating how their government wanted them to “disappear” and were manipulating their files/records so they would not have to take care of them. One of the soldiers needed a prosthetic lower leg – and that would take another six months to a year to heal – the soldiers were doubtful that this would be taken care of properly. I was transferred to Lugansk shortly after that, and could not follow up to see what eventually happened to the tank crew.